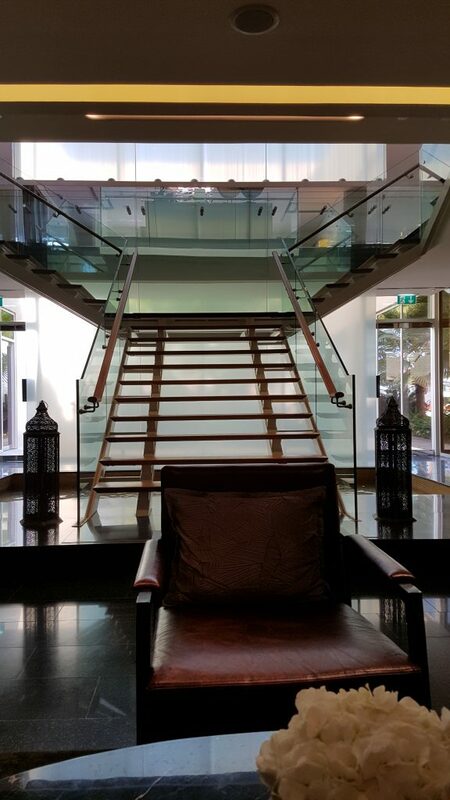 The Perfect Combination of Stopover and Staycation at the Park Hyatt Abu Dhabi - Holy Smithereens! Most stopovers include a quick tour of the city, or at least exploring the hub in 24-48 hours. I found myself stopping over in Abu Dhabi and opting to have a staycation/stopover at the Park Hyatt Abu Dhabi Hotel & Villas instead. 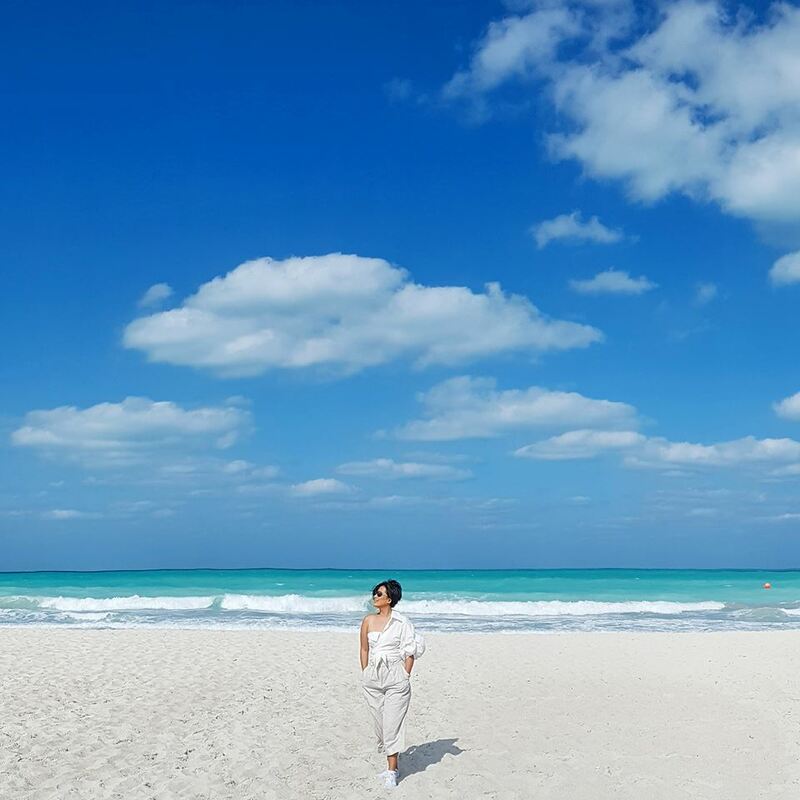 Indulging and pampering are one of the things that the Middle East does best, and that’s exactly what I did on my Abu Dhabi stopover on my way back to Australia from the Seychelles. What constitutes a perfect weekend for you? How does a weekend of dinner and breakfast in bed, a staycation by the beach, fresh seafood, and a pampering massage sound? 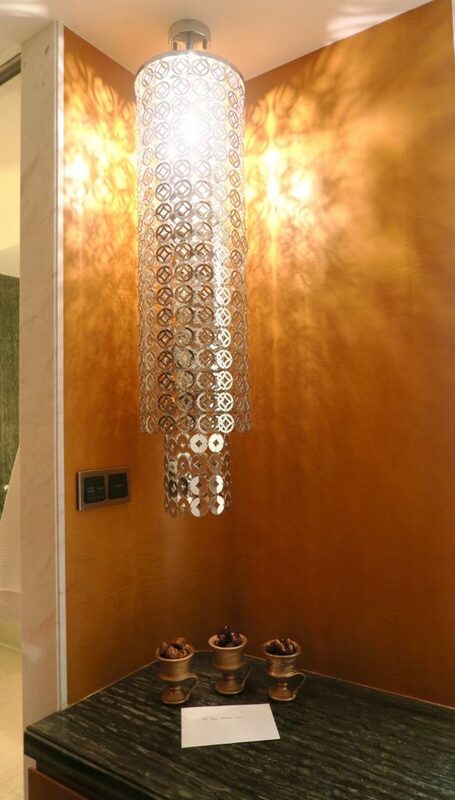 I spent such a dreamy weekend at the Park Hyatt Abu Dhabi. It was too dreamy I still wonder if it really happened, or if it still belongs to one of my ‘too ridiculous to be real’ dreams. One of the reasons I love stopping over in Abu Dhabi when I’m travelling is it gives me a legitimate reason and excuse to spend a couple of days in pure indulgence. This time, I was travelling from the Seychelles back to Australia with Etihad Airways and I decided to break down the long journey by stopping in Abu Dhabi for a couple of days. I’ve been to Abu Dhabi a couple of times previously so for this stopover, I wanted to just chill and spend my two days inside a hotel/resort. 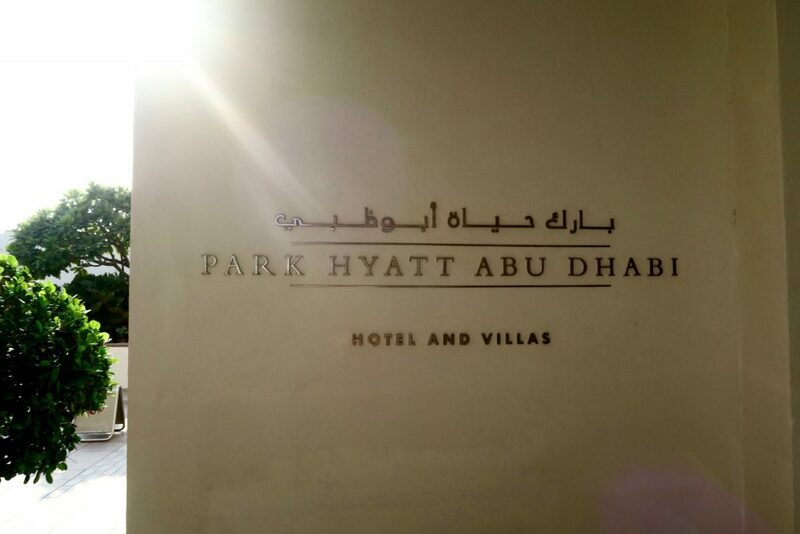 I decided to stay at the Park Hyatt Abu Dhabi Hotel & Villas for my two days of R&R. I first stayed at this Park Hyatt property in 2012 when it first opened and I was extremely happy with my stay. 4 and a half years later, I find that it still delivers and impressed like a newly opened hotel. Our flight landed in Abu Dhabi late in the evening. 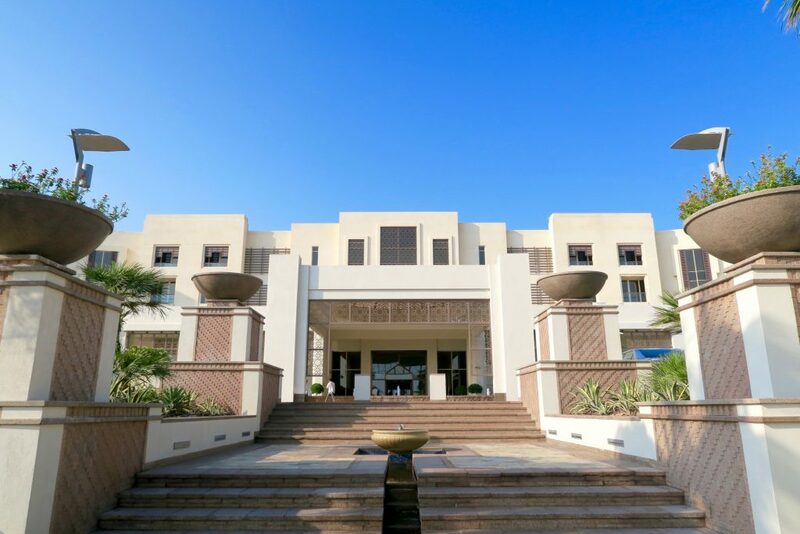 It took about 30 minutes from Abu Dhabi International Airport to the Park Hyatt Abu Dhabi. We took the “regular” luxury airport taxis that Abu Dhabi International Airport offers and it’s extremely convenient, comfortable, and costs very little (around AED 70 / AUD 26 to central Abu Dhabi ). As it was late in the evening, the lobby was quiet when we arrived and check-in was quick and seamless. 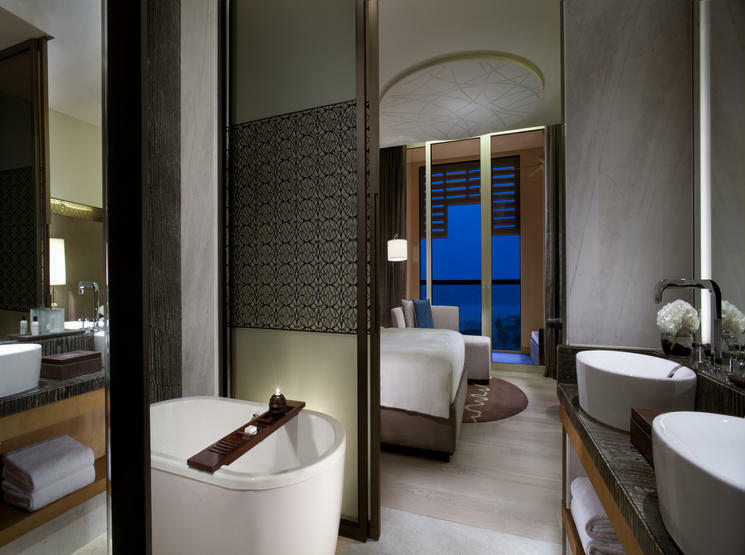 Park King Room, Park Hyatt Abu Dhabi Hotel & Villas. The Park King Room is the lead-in category, and as all things in the Middle East (and Park Hyatt), this lead-in category is massive at 50 square metres (538 sq feet) with a generously sized private balcony. The room is furnished with modern amenities including a 42-inch LED TV, mp3 player docking station, Nespresso coffee maker and minibar. Arriving late in the evening, we wanted to just chill. 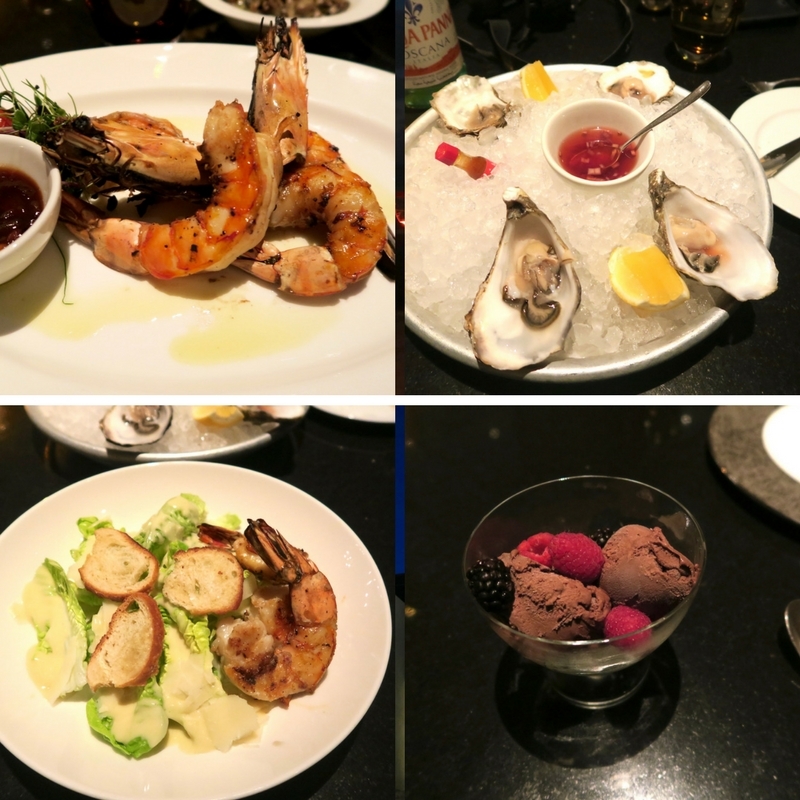 But as we were also feeling a bit peckish, we ordered room service where I had my first taste of how amazing the seafood was at the Park Hyatt Abu Dhabi. Alright, we were more than just peckish because we consumed everything , including dessert (their pistachio red velvet cakes are amazing!). Needless to say, I slept quite soundly that night. I did try to stay up for a couple of hours after eating though. It’s a once-in-a-blue-moon indulgence that’s not the healthiest but is quite good for the soul and tummy. 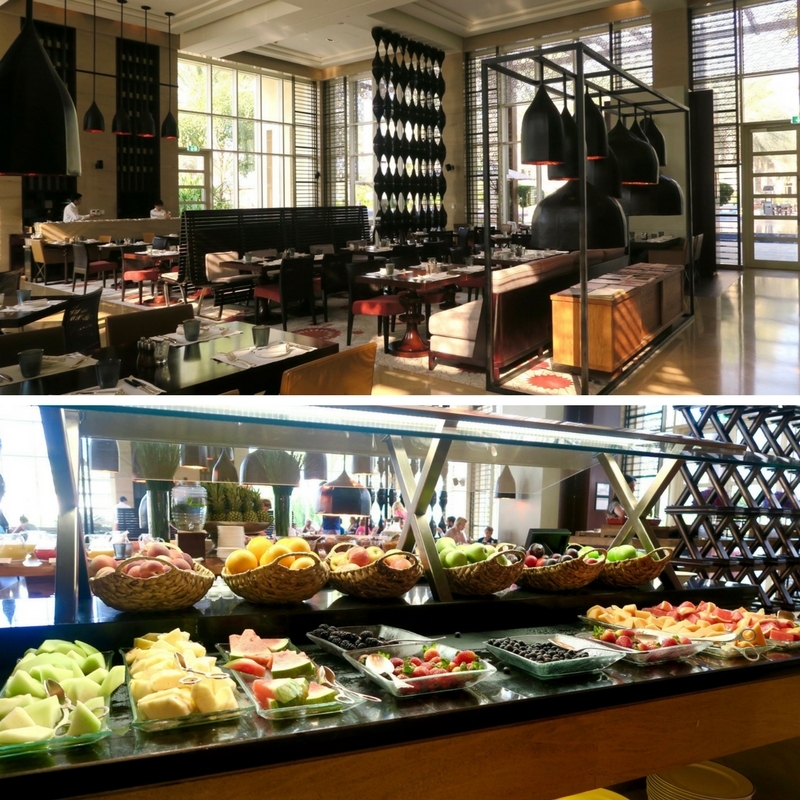 The next day, we slept in and had late breakfast at The Cafe, one of the three main restaurants at the Park Hyatt Abu Dhabi. There’s a very extensive buffet available, and also cooking stations for a la carte orders. It was here that I discovered that the Park Hyatt Abu Dhabi is a popular place for breakfast / brunch for residents of Abu Dhabi as the place was busy. It was however, not overly chaotic or busy that you could not find a place to sit. 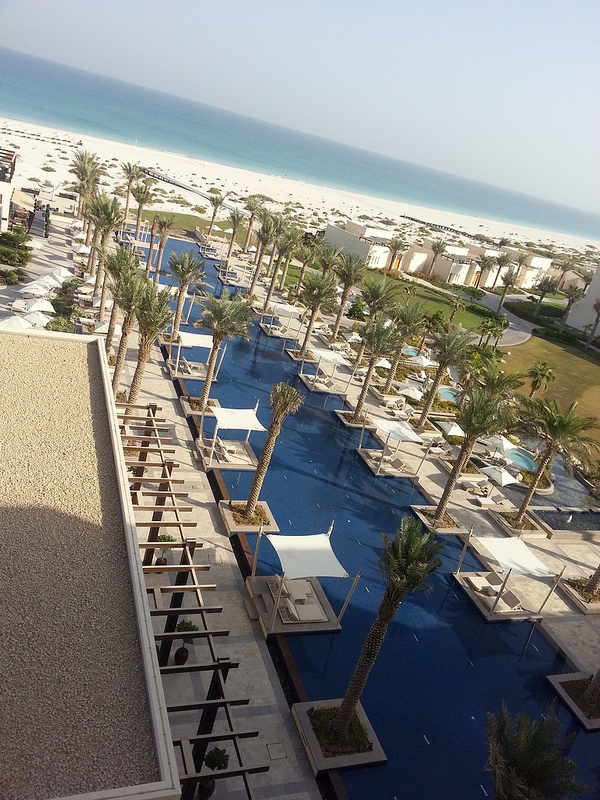 The Park Hyatt Abu Dhabi is big on space so there was ample room for everyone. 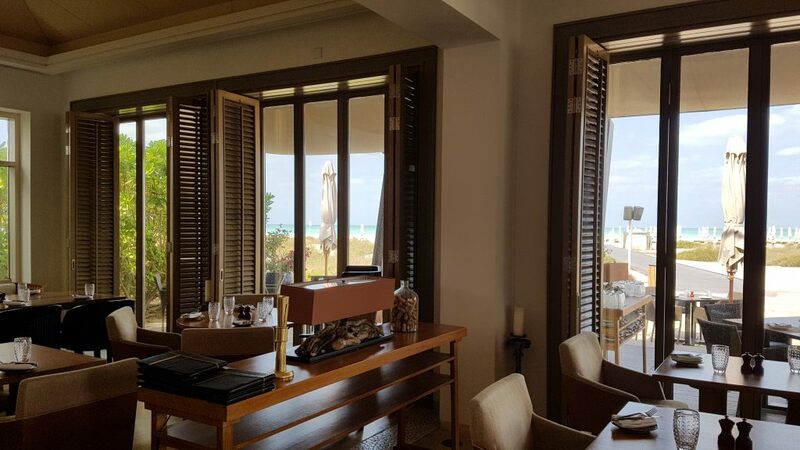 After breakfast, we walked around the area and I was pleasantly surprised to see the Park Hyatt Abu Dhabi had direct access to the extremely fine, white sand of the Saadiyat Beach. It was at that point that I was convinced that if one looked hard enough, you will always find beach moments anywhere in the world (Yes, even in desert-land!). 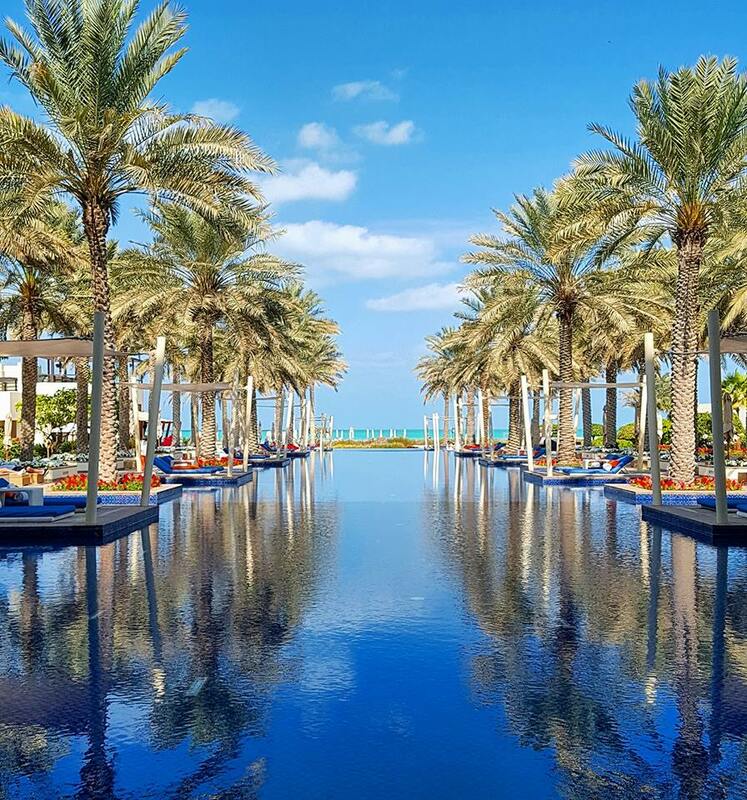 The Park Hyatt Abu Dhabi is one of three hotels that have direct access to the Saadiyat Beach. In my opinion, the Park Hyatt Abu Dhabi’s signature stunning view would be its pool. Our King Park room had a gorgeous view of this pool from the balcony, and it’s even more impressive when you walk around the area. The palm trees add that dramatic Middle Eastern flair, and this is easily my favourite spot in the hotel. The Beach House is Park Hyatt Abu Dhabi’s Mediterranean restaurant that serves home-made, family style dishes from the coast with accompanying selection of wines, sangrias and cocktails. 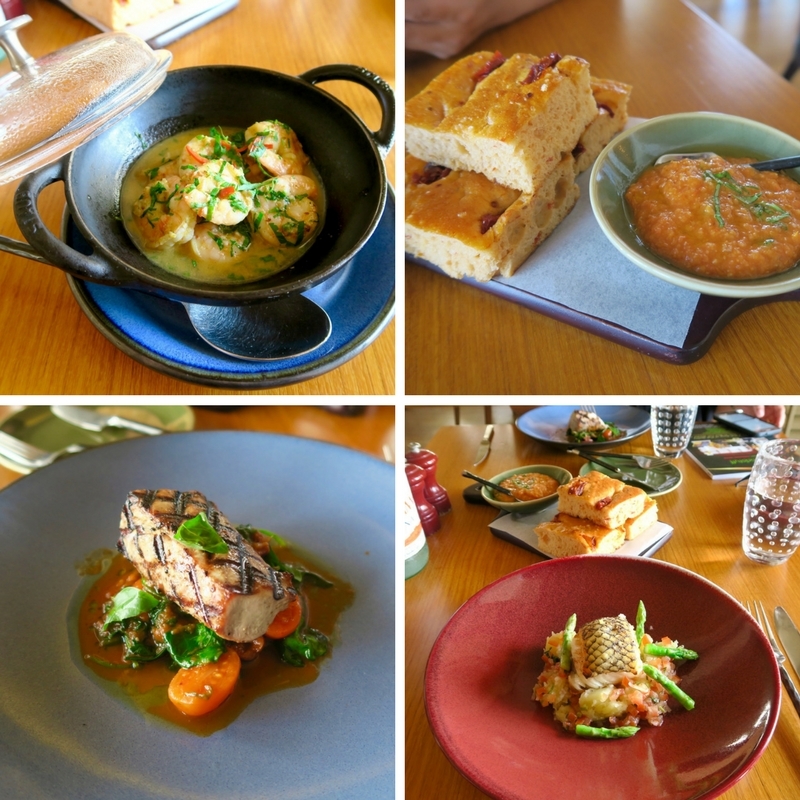 The Beach House is the perfect ‘resort’ lunch spot as the meals are not too heavy. Again, the seafood is very fresh and well-done. 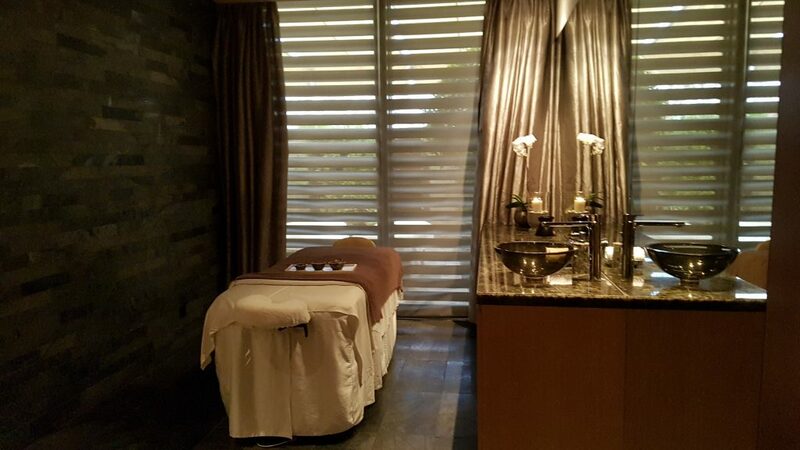 After lunch, I fought off the desire to take a nap and decided to indulge in something better than siesta – a one hour massage treatment at the Atarmia Spa. The Atarmia Spa is located in the lower level of the Park Hyatt Abu Dhabi and it gives a completely quiet and serene atmosphere of being away (or below) from it all. My massage therapist was from Bali and she delivered the 1-hour aromatherapy (relaxing) massage perfectly. I did fall asleep during the treatment and woke up feeling both dreamy and ready for more staycation activities. 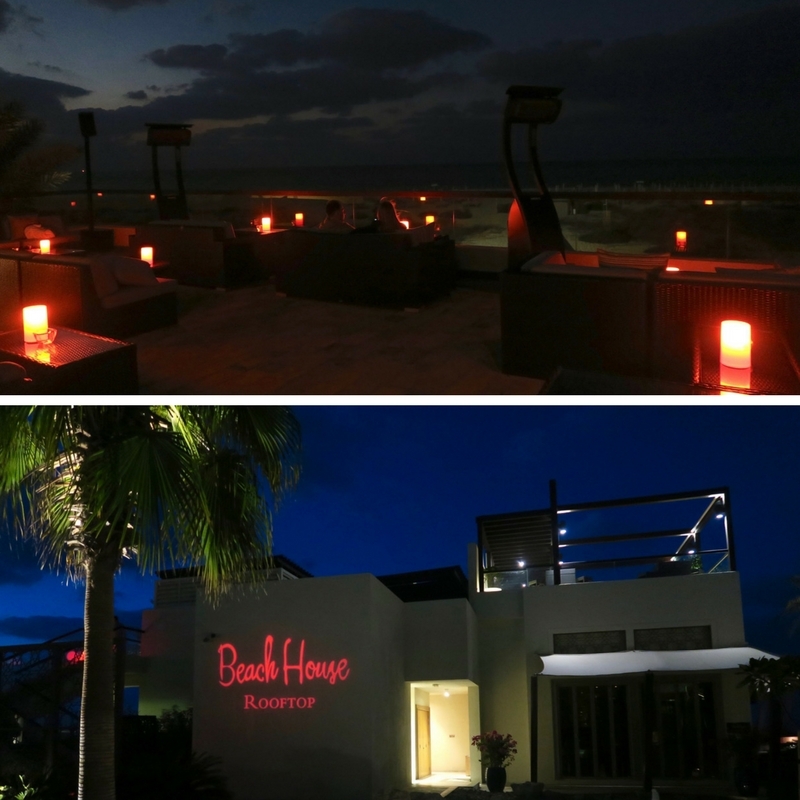 When evening came, we went to the Beach House’s roof top, which completely transforms at night. It’s such a dreamy and romantic setting overlooking the beach and sand. The rooftop also serves cocktails and flavoured Shishas. Since the the art of smoking hookah or Shisha is one of the oldest traditions of the Middle East, I decided to give it a try for the evening. The Beach House serves them in different flavours to go along with your cocktail. 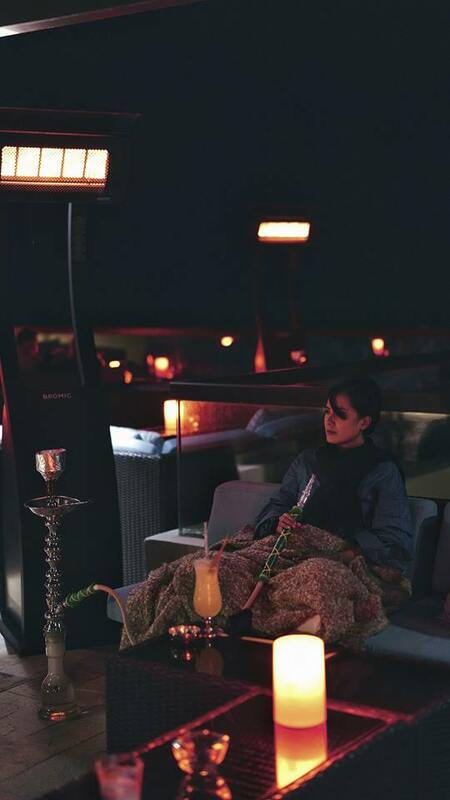 As this was earlier in the year, I found that smoking the grape-flavoured shisha was an ideal way to stay warm and toasty during the cold winter evening in Abu Dhabi. 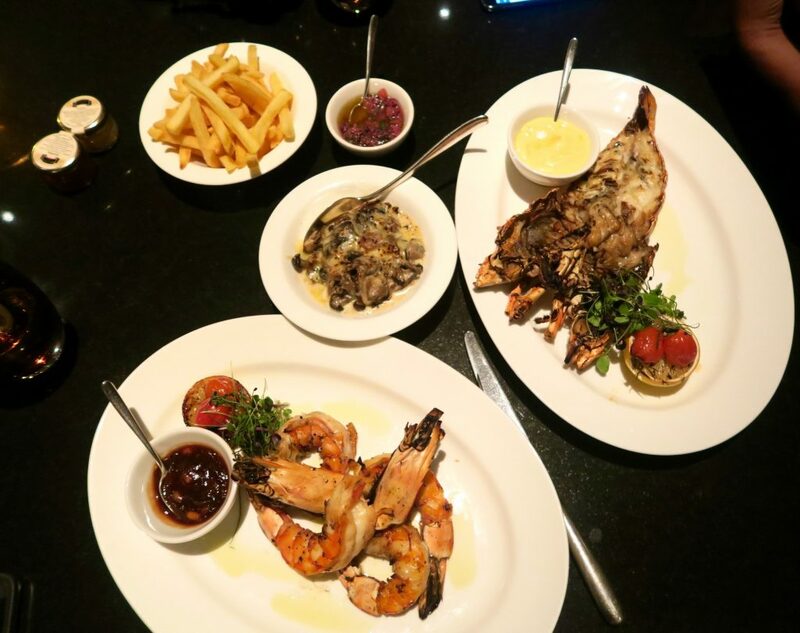 If steaks and seafood over a charcoal grill is your kind of dinner, then The Park Bar & Grill is the perfect spot for you. I am a seafood person through and through and could not get enough of seafood during my dinner at the Park Bar & Grill. I had seafood for starters (Caesar salad with Tiger Prawn) and mains (Tiger Prawns again! and lobster). If they had seafood for dessert, I would probably have that as well. 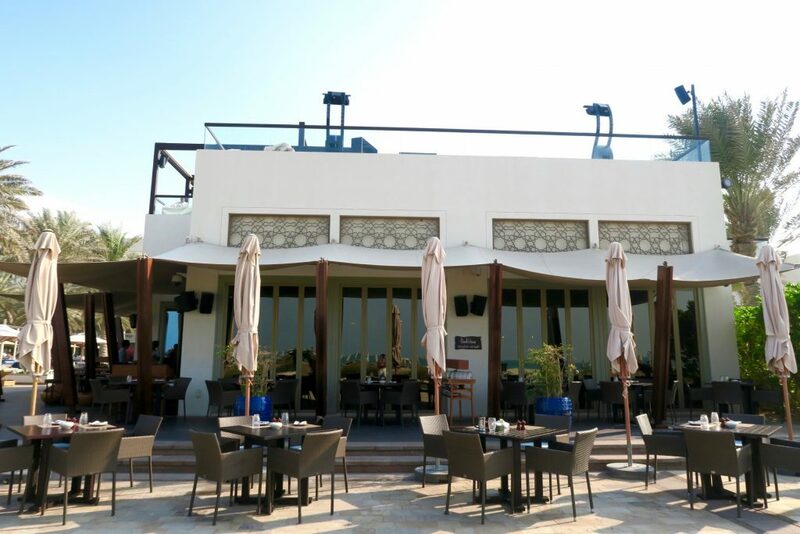 The seafood and steaks may be grilled at the Park Bar & Grill but this is the Park Hyatt Abu Dhabi’s more formal restaurant and also offers private dining in a contemporary setting. What are staycations for if you cannot sleep in to your heart’s content? I consider sleeping in one of life’s greatest pleasures and luxury. So waking up at 1030 and ordering brunch in-room was such an indulgent way to spend my final morning at the Park Hyatt Abu Dhabi. As I always say, the early bird may get the worm, but the indulgent one will wake up to a party. By the time we left the Park Hyatt for the airport to catch our last leg of flight home, we were so refreshed and awakened and didn’t have that dreadful feeling of heading back home that one normally does after a vacation. When I think of stopovers, I often think of mad dashes and quick city explorations. But when you’ve been to a hub city more than twice and would like to experience what it’s like to just indulge in the destination, it’s not a bad idea at all. 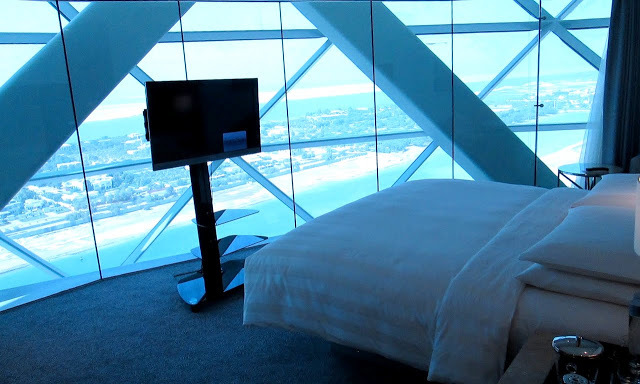 We stayed as guests of the Park Hyatt Abu Dhabi Hotel & Villas, however all opinions are mine. Oooh this looks like a brilliant way to break up a flight! Crazily I’ve never actually made it out of the airport in Dubai or Abu Dhabi. I clearly should make time on one of my trips to do a stopover in style! The food line-up looked spectacular! The architecture and views were also stunning. Way to make the the absolute most out of a dreaded stopover!